Astérix - BN Licensing B.V. 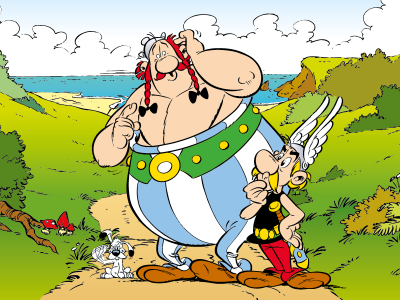 He made his debut in 1961, within the comic book of René Goscinny and Albert Uderzo: "Asterix the Gaul". Today, we can't imagine a world of comic and cartoons without Astérix and the other Gauls, such as Obélix and his little white dog Idéfix. o and a very own theme park, +1.8 million visitors a year. With over 55 years of experience and worldwide fame, Astérix and Obélix are rocking in licenses. Please do not hesitate to contact our office for more information of this amazing property.